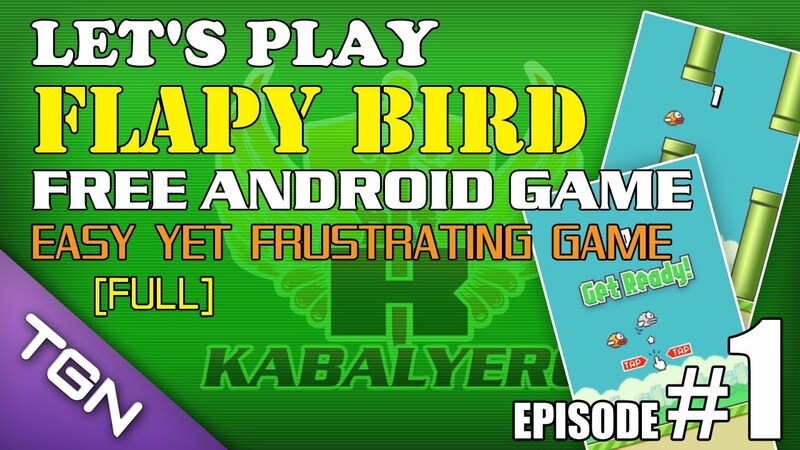 Let's Play Flappy Bird, Simple Yet Frustrating Game - KABALYERO - PLAY, BLOG & EARN! Do you any of you enjoy playing Android Games on your Android Devices? I don't play Android Games often but I sometimes do specially when I'm resting from work or when there's nothing else to do. Currently, I don't have many Android Games installed in my Android Phone because I uninstalled most of them. Why? I wasn't playing them and they were using up space. Yesterday, I installed a game called Flappy Bird after seeing my youngest son playing it on his mother's Android Phone. Flappy Bird is an extremely simple game BUT it can also be very frustrating. I played it for a few minutes and I can't remember how many times I've seen the "Game Over" message. The YouTube video below is a video of me playing Flappy Bird that I've uploaded to my Let's Play Channel in YouTube. Check it out. By the way, I learned that the creator of Flappy Bird will soon take the game down from Google Play. I have no idea when it will happen but if you still want to give this game a shot then immediately go to Google Play to get. it. Who knows, it might still be there. Anyway, I still have Flappy Bird installed in my Android Phone but I'm not sure if I'm going to play it again. I might play it from time to time but I just can't see myself addicted to it though. LOL!